New figures indicate use of Colistin, an antibiotic of last resort which treats a number of bacterial infections in both humans and animals, fell significantly in the sector during 2016. The latest available UK sales data from 2015 shows Colistin sales into veterinary medicines were already low at around one tenth of the EU recommended limit. But preliminary analysis of data received via the new pig e-Medicines Book (e-MB), which was developed and launched by AHDB Pork last year and has now collected the 2015 and 2016 ‘medical’ records of more than two-thirds of the national herd, suggests that use of Colistin in pigs decreased more than 70% in 2016. “This is why the European Medicines Agency has classified Colistin as a highest priority ‘Critically Important Antibiotic’ for the treatment of a number of human bacterial conditions, despite it being a very old drug,” she explains. “But crucially, the regulators have retained access for animal use because it also has importance as a last-resort drug to safeguard welfare in livestock. 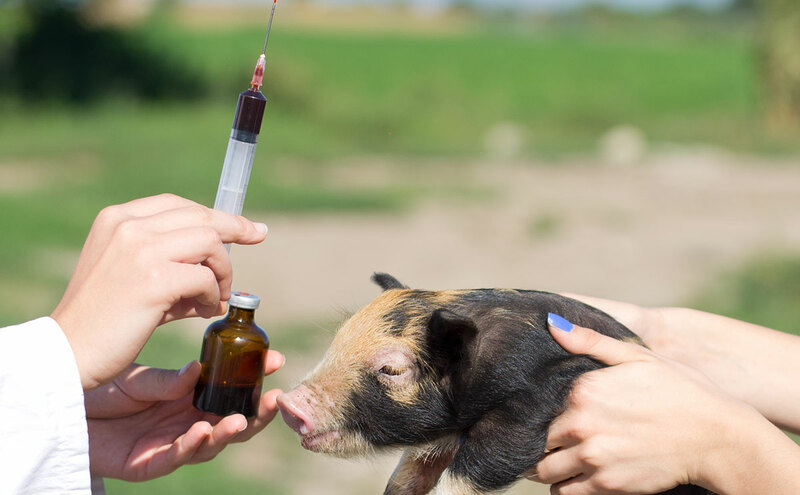 RUMA, the agricultural and food industry alliance which promotes responsible use of medicines in farm animals, chairman Gwyn Jones has welcomed the news. He said the findings mean that once 2016 sales data are released, the UK could be one of the five lowest users of Colistin in Europe. He said: “We were looking for significant reductions in 2016 following the best practice guidelines issued by the Pig Veterinary Society at the end of 2015, but this has exceeded our hopes. “It also follows hot on the heels of the announcement in February that prescribed antibiotics administered in feed for young pigs have halved, with more than two thirds of that reduction taking place in 2016. More e-MB data will be made public later this year in line with the publication of sector-specific targets at RUMA’s conference in association with the Veterinary Medicines Directorate on 27 October.